Ocoee Pedestrian Accident Attorney Firm Securing Compensation for clients Injured in Ocoee and surrounding areas. You may think that you are somewhat safer when getting around by foot for work or personal errands, but pedestrian accidents are actually quite common in Ocoee. Driver negligence can affect people walking just as much as it impacts other motorists sharing the road. If you are injured, you can suffer serious injuries and related losses. Florida law does provide you with rights as an injured victim, as many of the same concepts that apply to auto crashes are relevant in pedestrian accidents. Our lawyers at the Benenati Law Firm are dedicated to getting the compensation you deserve, so please contact our office to set up a free consultation with an Ocoee pedestrian accidents attorney. You may also read on for some important information on how these claims work. Other risky acts while driving. Plus, you must comply with the Florida statute of limitations, which requires you to file a lawsuit within four years after the incident. If you do not sue before the statute expires, you can never recover compensation for your losses. 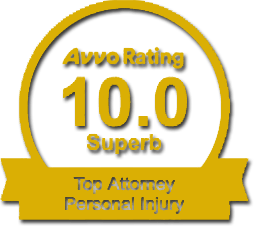 Additional forms of compensation that may be available in your case. Even when the responsible driver’s fault is clear, you should not expect the insurance company to pay out your claim without a fight. Insurers are businesses, and they will go to great lengths to protect profits. A claims adjuster will find every opportunity to deny compensation, such as by contesting the extent of your injuries. The insurance company may also reject your claim on the grounds that you were at fault in the incident. In Florida, there is a law regarding comparative negligence, which could decrease your award if your own conduct was a factor in causing your injuries. You can be sure that the claims adjuster will point out such acts as crossing against the light, failing to walk in a crosswalk, or your level of inebriation. If you were hurt in a pedestrian accident, do not hesitate to reach out to the Benenati Law Firm. We will offer a free case evaluation and inform you of your options moving forward. Contact us today by calling 407.777.7777 or visiting our website.